Favorite Food: Any kind of DEEP SOUTHERN COOKING! Matt and Kristin have been married since 2009 and share a special relationship that dates back to high school. Together they have a daughter named Milah. ​Since Matt was a young teen, he knew he was called to the ministry. Matt grew up as a pastor’s kid and was very active in his youth group, Rocks in Flight. While in youth, Matt placed first in the Mississippi District Fine Arts for two years in the "Short Sermon" category, and then competed at the national level in Indianapolis, IN and Charlotte, North Carolina. In 2005, Matt participated in a missions trip to Reynosa, Mexico. Matt is originally from Meridian, MS.
​Kristin is originally from Tupelo, MS and moved to the Dallas area in 2010 with her husband to pursue a degree in the Marketing/Merchandising industry. Kristin has always had a passion for creativity. In 2014, Kristin graduated with her Bachelor’s Degree in Fine Arts with a concentration in Merchandise Marketing. Kristin hopes to use her talents for God not only in the church but in the job world as well. There are many souls that need to be reached and enriched, and Kristin believes that the church is not the only mission field. Kristin grew up in a home that acknowledged and praised God, but but says, "It is awesome when he becomes real to you!" She grew up with her grandparents being ministers who had a passion for the people God sent them to shepherd. 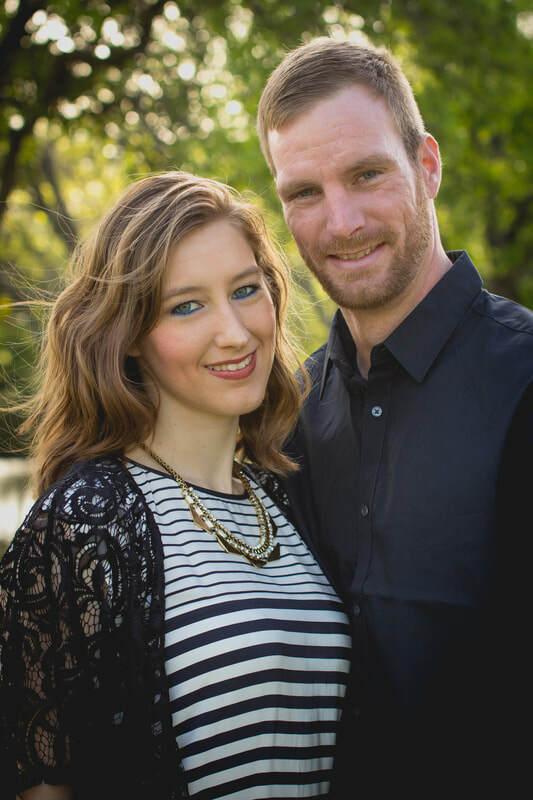 Together, Matt and Kristin have a vision for our youth to live up to its name “One Student Ministries.” A vision that houses a safe, loving and comfortable environment where they can come worship and be ministered to. Matt and Kristin want to train up disciples that will not only grow in their own personal faith but go and share that with their peers. They are excited about the doors that God is opening for them and are humbled that He would use them for His Kingdom. Matt and Kristin are excited to be working with the youth and have a passion to help them grow in their walk with God and for Him to become real to them! They would like to use our personal relationship testimony to encourage teens to make Godly decisions. They also want to see our teens use their talents and passions for God.